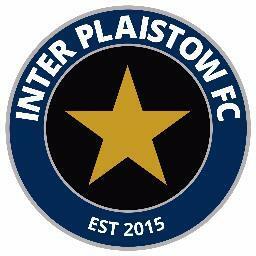 Inter Plaistow are a new club formed this year and will play in the Essex Alliance League Division Two. Here we catch up with Danny Vass who is player/coach at one of East London's newest's team. What is your footballing history? I have played local amateur football since under 10s level all the way up to adult football, playing for some well known local clubs such as Pro Star, Rippleway and Royal Falcons. I have been told that I could push on to a higher level but I'm more than happy to play with my good friends who I've grown up with and turn Inter Plaistow into a force within London and Essex. I completed the FA level one coaching badge a few years ago and I'm now aiming to complete the level two later this year. Even when I do stop playing I'd love to stay involved in the game through coaching. What's the history behind Inter Plaistow forming? The club was formed by myself and my two good friends Sam Garrett and Ben Nyman who also play for the team. We decided to form the club because we felt like we had a very talented group of players and we weren't fully fulfilling our potential as a team. We decided to try it our way with our own ideas and a good level of enthusiasm. The three of us run the club together with help from midfielder Jason O'Hare who is a qualified coach and takes some of the training sessions. I should also give a mention to defender Jake Flynn who has helped promote the club a lot and deals with our social media accounts. We decided to join the Essex Alliance League as we felt it was the most organised and well run league in the local area - we'll be starting out in Division Two. Our first pre-season has gone really well, we've had professional boxer Jamie Arlain coming over every week putting the lads through their paces and getting the fitness levels up. We're just raring to go now for our first official league game in September. Are all the players locally based? What's it like living in Plaistow? Has Olympics made a difference to the area? Most of the lads are from Plaistow and have grown up there most of their lives. We also have a few lads from Bow, Bethnal Green and Dagenham. Striker Matt Zielinski is originally from Plaistow but will be travelling to games all the way from Huntingdon! Having grown up in Plaistow I've seen the good and bad sides to it but I do think that currently the area is better than it's ever been. It was quite a rough area but it's definitely calmed down in recent years. I think the Olympics has had a positive effect in terms of rejuvenating the local area. Before the Olympics the area was very run down, whereas now it's a much nicer place to be and the parks and facilities are better than they've ever been. Any players with higher level experience? A few of the lads have played in the Essex Olympian League but no higher than that. Where will you play your home games? We will be playing our home games at Memorial Park, West Ham which was once the home of the famous West Ham United many years ago. We will be very proud to play on the same ground as the West Ham players once did. * Thames Ironworks/West Ham United played at Memorial Park between 1897 to 1904. What are the aims for the team/club over the next few seasons? Our aim for the next few seasons is to progress through the Essex Alliance League divisions and win the Premier Division. Hopefully we can pick up a few cups along the way. We would also like to expand the club into youth football when the time is right. How can the Football Association improve the game in the lower leagues? I think they could maybe do more to keep pitches at a decent standard. Some of the pitches we play on are terrible and that actually ruins the game. A good option could be to subsidise the use of artificial pitches in the winter when the grass pitches are unplayable. Long ball or nice passing? We will definitely be playing nice attractive football rather than lumping the ball up field, I believe in playing to your strengths and we have some very technically gifted players who are more than capable of playing that style of play. All our training is based around playing the short passing game, for example using small pitches and the three touch rule. The IPFC lads are put through their paces in pre-season training by professional welterweight boxer Jamie Arlain. They have home pre-season friendlies arranged on Saturday 15th August versus Grove United, Saturday 22nd August versus Glendale FC and a local derby on Saturday 29th August against Custom House FC. The Essex Alliance League season starts in September with the fixtures not yet released. Good luck to Danny and all at Inter Plaistow this season.